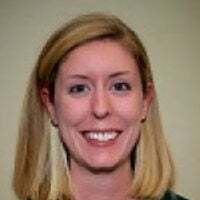 Mary Kate Hopkins is the director of federal affairs for Americans for Prosperity. Among the first out of the gate was AT&T, which said it would give $1,000 bonuses to more than 200,000 nonmanagement employees and make an additional $1 billion investment in the United States. Boeing put $100 million toward training, education, and other workforce development. Walmart expanded paid parental leave and boosted starting wages to $11 an hour. Hundreds of smaller, local businesses also joined in. Wisconsin-based Copperleaf Assisted Living handed out $60,000 in bonuses—the company’s entire tax reform savings. Family-owned Jordan Winery in California’s Sonoma County, announced $1,000 bonuses for all eligible employees. And that was just the beginning. Millions of hardworking taxpayers are now enjoying the boost in take-home pay. The new tax law lowered rates and raised the income thresholds for most tax brackets. As a result, 90 percent of Americans will get to keep more of what they earn, according to the Treasury Department. For a single taxpayer earning $50,000 annually, this translates to an extra $50 a week—that’s more than $2,500 a year. What’s more, by nearly doubling the standard deduction—it’s now $12,000 for individuals and $24,000 for married couples—the law widened the “zero tax bracket.” For many taxpayers, this eliminates the time-consuming and at times baffling process of itemizing deductions—a giant step toward a fairer, simpler tax system. House Minority Leader Nancy Pelosi has characterized the benefits of tax reform as “insignificant,” and, à la Marie Antoinette, “crumbs.” But ordinary Americans see it differently. More than half of those recently polled by The New York Times said they approve of the new law. And that’s sure to grow as long as Congress doesn’t sabotage our newfound tax relief by reverting to business as usual. Among the ill-advised proposals currently on the table is an extension of $11.3 billion in tax breaks for politically connected special interests. Tax reform was launched in large part to unrig the economy and do away with handouts for a few powerful industries at the expense of hardworking taxpayers. Approving generous tax carve-outs for select groups, like racehorse owners, Puerto Rican rum producers, and green energy companies would be a giant step backward. Another threat is a 25-cent-per-gallon gas tax hike that some lawmakers are floating as a way to help fund a $1.5 trillion infrastructure modernization plan. This would nearly double the federal gas tax and cost the average family close to $300 a year, snatching back a good portion of the savings from tax reform. Even worse, increasing gas tax revenue is unnecessary. Right now, a significant portion of federal transportation dollars meant for highways and bridges is diverted to pay for things like bike paths and boardwalks. Ending this practice along with smarter spending and the elimination of costly, restrictive regulations could provide adequate savings to fund major road and bridge projects throughout the country. If Congress can avoid these temptations, monumental economic growth is on the horizon. Small business optimism is at one of its all-time highs, and last year wages grew at the fastest pace since 2009, a trend expected to continue this year thanks to tax reform. The long-awaited American pay raise has made a dramatic entrance. Hopefully, Congress lets it stay.